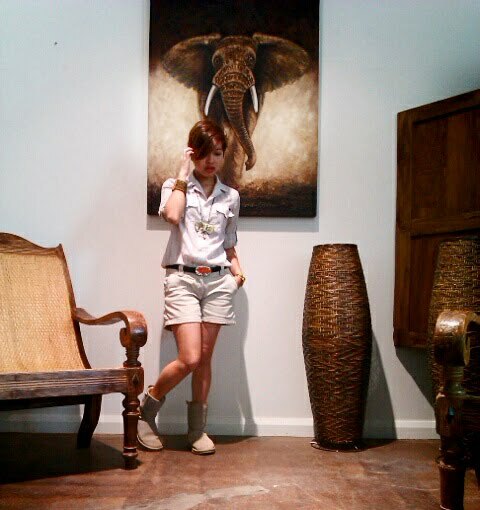 The polo shirt was a thrift find from Bambang during my college days. It was all worth the trip because I only got it for about P30 (less than $1) and I've been using it for a decade already. Although the fabric has been thinning out, it gives the polo a fake "sheer" look which you can wear during summer (despite the sleeves). One thing I also love about it is the gold and silvery thread woven on the fabric, which from a certain angle (under a light or sun) gives the top a"shiny, shimmery, splendid!" look! 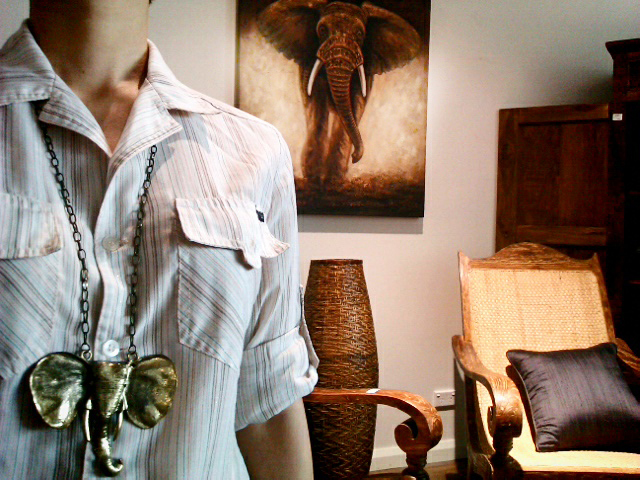 Complete the outfit with Jean and Rosz animal necklace. When I bought this necklace I thought that the use would be limited because, well, it's kind of hard to imagine having an elephant hanging in your neck like you are part of a tribal council. But surprise, surprise! Since animal-anythings are trending these days (leopard/cheetah prints, insect rings, meat couture by Lady Gaga, Lady Gaga as an egg, Lady Gaga as a rhino [her anatomical prosthetics at the Grammy's- read the article at Jean and Rosz site] Animal liberation/PETA, etc! ), you can pair this with whatever you can think of! (I once wore this to a job interview). I also wore the multilayer wooden bead bracelet to have a cohesive rustic look. As an accent, I used my orange clip-on garter belt (bought from a bazaar) to add a bit of color to a dangerously-boring-outfit-if-you-are-not-careful-with-what-you-pile-on! 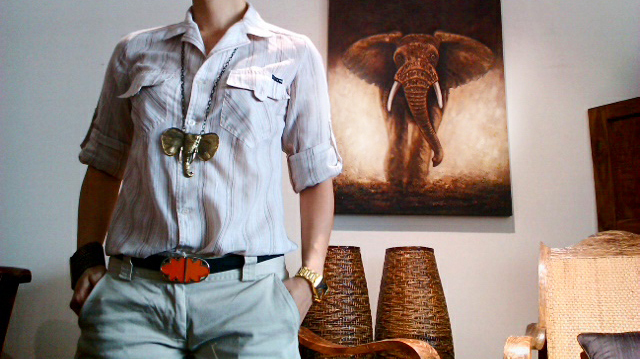 i love the elephant necklace! good job! I love it too! Hahaha! One of my good buys from you!